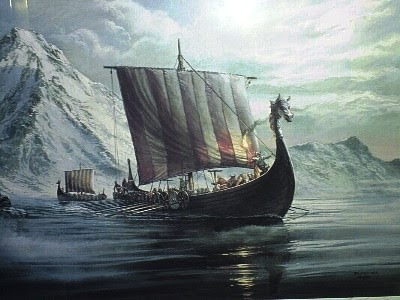 Last week it was DFAIT's PromArt program, this week the Canadian Heritage department's Trade Routes fell under the Viking's axe. The usual hairy-knuckled philistines at the National Post are grunting happily from the wings. The Conservative government is right that some of the international travel grants were inappropriate - notably those for political ventures that have nothing to do with arts. It is legitimate to ask why $3,000 was spent in 2006-07 on sending Michel Bastarache, then a Supreme Court judge, to tell Cuban law professors about Canada's Charter of Rights and Freedoms. It may well have been a constructive use of his time and the $3,000, but it fit awkwardly inside an arts program. Same goes for the $18,000 to the North-South Institute for its role in a Havana conference, or the $3,000 to journalist Gwynne Dyer to talk about Canadian defence policy in Cuba - Cuba, again. Those grants never should have been approved, and the criteria should be tightened to prevent such abuses. Surely you don't have to be an anthropologist to know that there's more to culture than novels and ballet. Avi Lewis is a recognized documentary filmmaker among other accomplishments; Michel Bastarache brings an impressive resume to the field of law; The North-South Institute "provides research and analysis on foreign policy and international development issues for policy-makers, educators, business, the media and the general public"; and Gwynne Dyer has his own solid credentials in the field of international affairs. All were funded under "Foreign Policy Priorities" by DFAIT's International Cultural Relations Division. Under this rubric, grants were also given to many other recipients for the promotion of international academic exchanges, corporate social responsibility and cultural relations. As a Canadian I'm proud to have such people serving as our cultural ambassadors. But with the government imposing a political litmus test on cultural production, these are thin times for both domestic and international practitioners. "Some of the groups we felt had little to do with our foreign policy, or how Canadians would want us to be perceived abroad," says a government mouthpiece, with breathtaking effrontery. And our media, whether out of sheer laziness or active malevolence, are playing right along. This page contains a single entry by Dr. Dawg published on August 11, 2008 5:07 PM. A community fights back was the previous entry in this blog. CIA malfunction? is the next entry in this blog.